A collection of my R packages for machine learning, data visualization, and reproducible research. Implements the multi-step adaptive elastic-net (MSAENet) algorithm for feature selection in high-dimensional regressions. Also supports multi-step adaptive estimation based on MCP-net/SCAD-net. Offers a collection of ggplot2 color palettes inspired by scientific journals, data visualization libraries, science fiction movies, and TV shows. R package generating various numerical representation schemes of protein sequence for bioinformatics and proteochemometrics research. The Rcpi package emphasizes the comprehensive integration of bioinformatics and chemoinformatics into a molecular informatics platform for drug discovery. Ordered homogeneity pursuit lasso (OHPL) algorithm for group variable selection. The OHPL method takes the homogeneity structure in high-dimensional data into account and enjoys the grouping effect to select groups of important variables automatically. This feature makes it particularly useful for high-dimensional datasets with strongly correlated variables, such as spectroscopic data. Algorithmic framework for measuring feature importance, outlier detection, model applicability evaluation, and ensemble predictive modeling with (sparse) partial least squares regressions. Relevant Component Analysis (RCA) tries to find a linear transformation of the feature space such that the effect of irrelevant variability is reduced in the transformed space. A collection of my Shiny apps for interactive data analysis. Proof-of-concept project exploring the technical possibility and complexity for bioinformatics workflow containerization and orchestration using Docker and liftr. All 18 available Bioconductor workflows were containerized. hdnom.io is the web application for the hdnom package. All the 9 model types in the hdnom package are supported. It streamlined the process of nomogram building, model validation, model calibration, and reproducible report generation. This app has been selected as one of the Shiny User Showcase. Web application for predicting the binding probability of 623 potential drug targets for given molecule(s). Driven by machine learning modeling of large-scale public chemogenomics data. Web application for computing 14 types of protein sequence-derived structural and physicochemical features in bioinformatics. ImgSVD is a Shiny app for image compression via singular value decomposition (SVD). 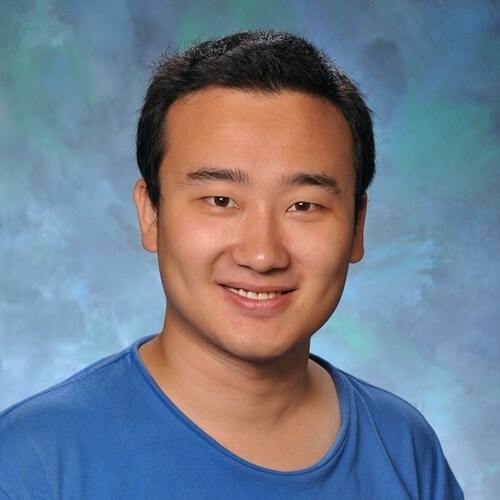 ImgSVD is inspired by Yihui Xie's comment in Yixuan Qiu's article on image compression via singular value decomposition with the R package rARPACK. Signify is a Shiny-based web application for making your (>0.05) p-values sound significant. The application is powered by the data from Matthew Hankins. I contributed some code to the following open source software. deep-learning-recipes - R implementation for selected machine learning methods with deep learning frameworks (Keras, Tensorflow). awesome-shiny-extensions - Awesome R packages that offer extended UI or server components for the R web framework Shiny. ashr - Methods for adaptive shrinkage, using Empirical Bayes. dml - A collection of distance metric learning algorithms in R.
mxnet-r - A flexible and efficient machine learning library for heterogeneous distributed systems. Themes for Hugo and Blogdown. Offers a balance between minimalism and flexibility. Publish new content quickly with simple Markdown, or construct complex pages by writing HTML with Bootstrap 4. A minimalist, text-oriented, and performant blog theme for Hugo/blogdown. An archive of some old R related documents.